From the end of July 2017 to 7 January 2018 Teylers Museum is organising the exhibition Electricity: The Spark of Life, which explores the close ties between human beings and electricity. Our existence is completely saturated with electricity, in every respect. 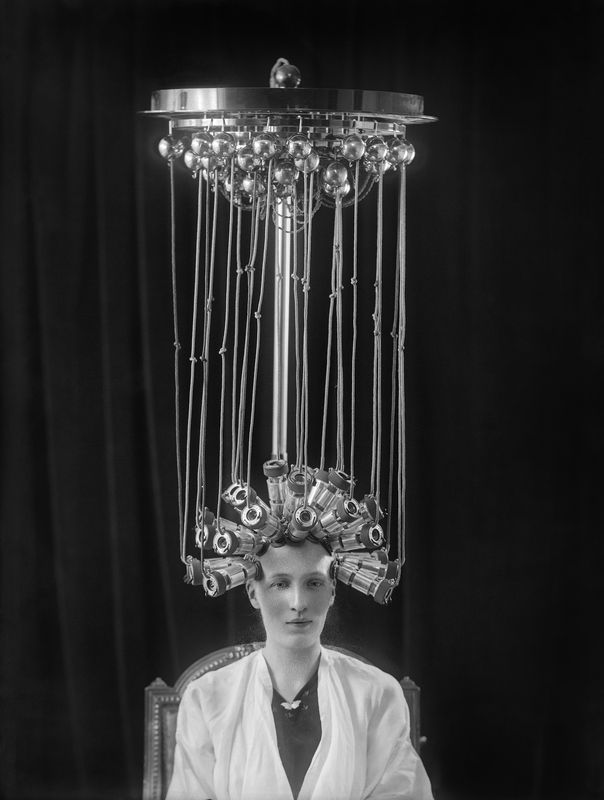 Without the neuro-electrical connections in our bodies we would be unable to think or move, and without electricity from wall sockets or batteries, modern life would grind to a halt. The exhibition shows how the elemental power of electricity was discovered, controlled and harnessed for a range of applications over the course of time. For centuries, awe-inspiring electrical phenomena such as lightning and the Northern Lights had appealed to the popular imagination as divine forces of nature. It was not until the 18th century, in institutions such as Teylers Museum, that this force was first tamed for use. The exhibition shows what happened next: how electricity slowly but surely achieved its place as ‘The Spark of Life’, with all the positive and negative consequences this entailed. Learning how to harness electricity enabled human beings to make a great leap forward in terms of comfort and ease: with a single click of the switch we control the world. However, our resulting dependency on electricity has also made us vulnerable, especially now that we are starting to glimpse the limits of the natural resources that have traditionally been used to generate it. As part of this exhibition, three artists were invited to create new work inspired by its theme: they are John Gerrard of Ireland, Bill Morrison of the United States, and Camille Henrot of France. With their contributions, the exhibition does not just tell the historical story of electricity, but also provides scope for reflection on the impact of electricity on human existence. You can find more information about the exhibition in the Wellcome Collection here. The 1920s saw the start of a major transformation of Dutch homes, as electricity won the day. Households were connected to the power grid at a dizzying pace, and by the late 1930s many had discarded their oil lamps and coal stoves in favour of light bulbs and electric heaters. Farewell sooty ceilings, farewell coal shed: Hurray for the dawn of a new era! The message all this transmitted to the consumer was a simple one: a modern home was one that ran on electricity. And who would want to be left behind? New devices such as vacuum cleaners and washing machines were snapped up with alacrity. But the revolution did not stop there. All sorts of familiar objects were soon being plugged in: pendulum clocks and cake tins, pillows and irons, even cigars were being lit up with electric lighters. ‘Do it with electricity!’ was the slogan of the day. Do it with electricity! 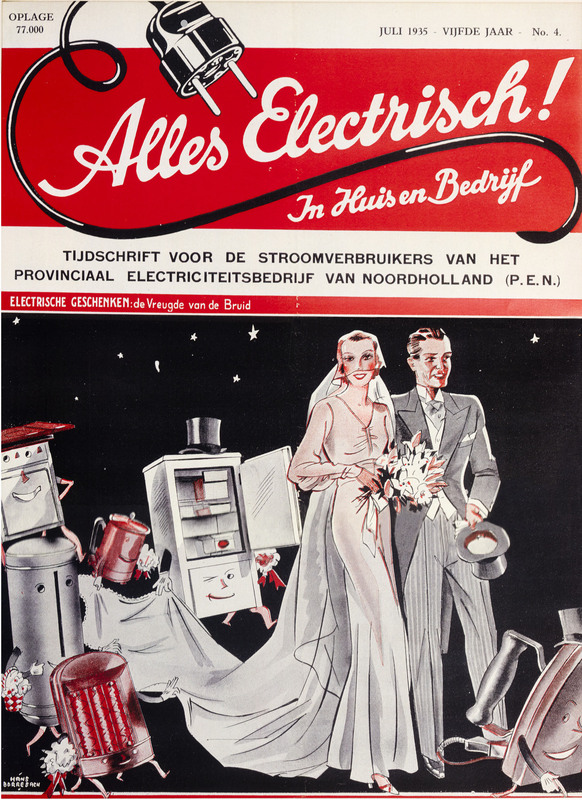 shows how the electrification of Dutch households took hold in the first half of the 20th century. The exhibition has been compiled from the collection of NEMO Science Museum in Amsterdam.